Ankara: Intense military cooperation was the driving force behind a decade-long boom in Turkish-Israeli ties, now in crisis over a deadly raid on aid ships bound for the Gaza Strip, among them Turkish vessels. Relations have deteriorated since Israel’s bombardment of the Gaza Strip in late 2008, and were poisoned in January when Turkey’s envoy to Tel Aviv was given a public dressing down by Israel’s deputy foreign minister in a row over a Turkish television series on the plight of the Palestinians. 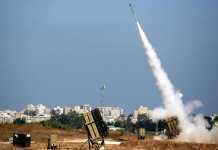 The pact eased Israel’s isolation in a hostile Arab neighborhood, while Turkey gained an ally against Syria, then an arch-foe, and access to advanced military technology. 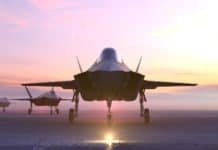 In the first major projects after the accord, Israeli companies were awarded contracts, worth some 700 million dollars, to modernize about 100 Turkish F-4 and F-5 fighter jets, and sold Turkey rockets and electronic equipment. In 2002, Israeli Military Industries won a 668-million-dollar tender to upgrade 170 M60 tanks, the delivery of which was completed in April. 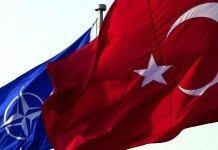 Another deal, worth 183 million dollars, involves the manufacture of 10 unmanned aircraft and related surveillance equipment for the Turkish army in a joint venture led by Israel Aerospace Industries. The project, launched in 2005, has been delayed amid technical snags and political tensions. 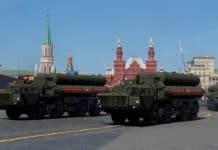 Other deals have been concluded silently, with some defense experts estimating that in 2007 alone, military equipment accounted for 69 percent of the 2.6-billion-dollar bilateral trade volume. Ankara, for its part, offered an opportunity for Israel’s air force to train in a vast airspace unavailable in its own country, as part of joint drills in central Turkey. The two armies have also jointly held naval exercises in the Mediterranean as well as search-and-rescue drills. 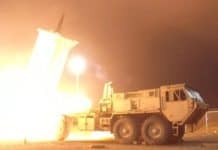 Turkey is also said to have allowed Israel access to its radars in monitoring Iranian and Iraqi air space, while other deals have involved the exchange of military students and expertise on chemical weapons protection. In 1998, Turkey’s alliance with Israel was seen as crucial to cajole Syria into expelling Kurdish rebel leader Abdullah Ocalan from his long-time safe haven in Damascus after Ankara threatened military action. Military cooperation was accompanied by a boost in economic ties and a flurry of cultural contacts. Turkey offered to ship water to Israel to relieve its chronic shortage, although the project finally proved too costly and was dropped in 2006. The following year, the two sides announced plans to study the feasibility of a proposed multi-profile pipeline to carry water as well as oil and natural gas from Turkey’s Mediterranean coast to southern Israel. Initial signs of chill came in 2002 when Turkey’s then premier Bulent Ecevit called an Israeli offensive against the Palestinians “a genocide,” but the tensions were quickly defused. However Israel’s devastating war on the Gaza Strip sparked a sharp downturn in relations last year as the Islamist-rooted government in Ankara launched an unprecedented barrage of criticism against the Jewish state. 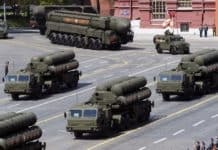 The Turkish attitide has become even harder to swallow for Israel due to Ankara’s now-flourishing ties with Syria as well as close contacts with Iran, which culminated on May 17 with a deal Turkey brokered together with Brazil for a nuclear fuel swap in a bid to avert fresh UN sanctions on Tehran.